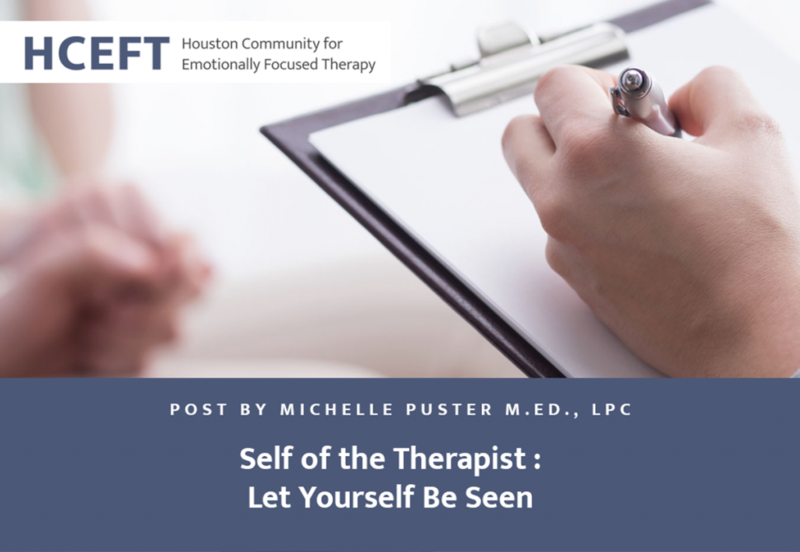 I can’t remember which training I first heard Dr. Sue Johnson instruct “let yourself be seen” in your couple’s therapy sessions but it has since taken on new and deeper meaning. When I first began Emotionally Focused Couples Therapy (EFT) trainings, I remember having a distinct feeling that I was not letting myself be seen entirely. I would only let the polished, professional parts of myself be visible and only at my comfort level. This curtain, as I came to think of it, started as an intern. I remember consciously thinking that I needed to fake it. I needed to fake confidence, like an actress going in to play a role. It was very helpful as an intern but once I no longer needed a curtain to hide behind the curtain remained, albeit to a lesser degree. When Sue introduced this concept, I began thinking about how “let yourself be seen” applied to me as a therapist. What I noticed was occasionally if a client asked me something about myself that was “off script” I felt my cheeks go warm. I was comfortable being myself to a degree. There were also things I was insecure or embarrassed about and when asked about them I felt like the wizard on Wizard of Oz being found out. They, my client, had just pulled back the curtain and seen me, all of me. Needless to say, I had some work to do in these areas. I wish I could tell you some specific formula that I used to begin to practice how to let myself be more authentically visible but what I can share is my experience. When I noticed that feeling of insecurity I began trying to tune into it, learn more about it, make sense of it, and most of all learn how to stop judging myself for it. 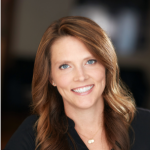 Before clients would come in, as I’m walking down the hall to greet them, I would notice pangs of anxiety and see what they had to tell me about myself or about the clients I was about to see. Anxiousness began to feel less like the dreaded enemy and more like a useful compass. It’s probably not a coincidence that around this same time I took up an at-home yoga practice. Which has been hugely helpful in learning how to tune into my body and practice lots of self-love. If you fall, EFT will catch you. When doing balancing poses my yoga instructor would always say the phrase “if you fall, we will catch you.” I thought of this before and after sessions. I was taking myself to my limit again and again with couples. I was learning how to tune into and stay with intense emotions my couples brought to light during sessions. Of course, I would sometimes lose my balance and even fall, but knowing I had EFT to catch me made it possible to keep meeting my edge. I may walk into the room by myself with a couple but I do not feel like I am alone. I have my supervisor there with me, my fellow EFT colleagues, even Sue (I have an active imagination). It gives me great comfort to know I have so much support in the Houston EFT community and the greater international EFT community. I regularly meet with my supervisor and call a colleague after particularly tough sessions. I am not alone. Letting myself be seen is an ongoing practice. I can use it as a grounding guidepost when I feel lost or unsure. I hope you have found this helpful and as you read this know you are not alone and you have the support of an international EFT community. We will catch you if you fall. For information about the next Emotionally Focused Therapy Externship in Houston in February 2018, please go here.